Alan Cox has just released Fuzix, a Unix-like OS for the Z80. The kernel runs in 40kb. Designed for portability, it’s been compiled on the 6502 and 6509, but further work will be needed to fully support those processors. 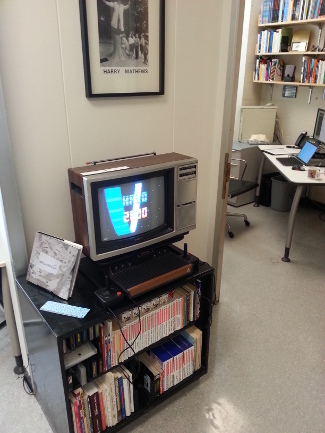 Thanks to RA Erik Stayton, we now have a formidable catalog of hardware and software in The Trope Tank, my lab at MIT. Also, information is recorded about each display and about all the other working computers that are kept in the lab. And while every last disk in the lab has not been cataloged, the VCS, Commodore 64, NES, Intellivision, and Odyssey cartridges and all packaged retail software on disk or CD-ROM are now listed in the extensive software catalog. For now, this catalog is presented as a simple, long Web page. In other Trope Tank news, thanks to Jason Scott I’ve replaced a part in the Asteroids machine and the display no longer oscillates – the machine works perfectly. 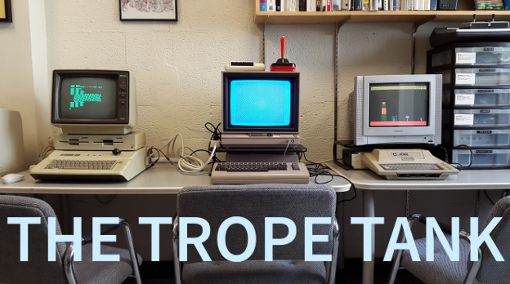 The Trope Tank welcomes small classes, researchers, and artists and writers who are looking into the material properties of digital media. Please contact me if the lab’s resources can be of help to you. 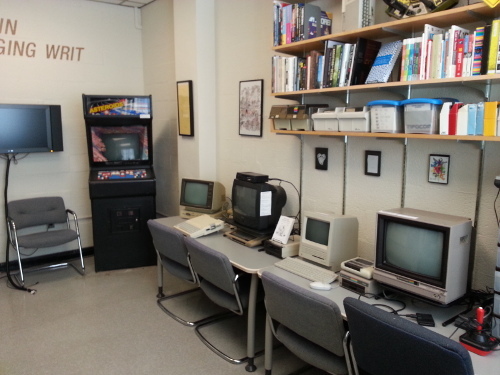 This Friday, while I will be out of town, Erik and Piotr Marecki (and a Commodore 64 system they are bringing) will be representing the lab at the MIT Museum and offering the public a view of how accessible and creative programming was in the early 1980s. Lori Emerson has been running an excellent facility at the University of Colorado at Boulder that is a kindred lab, and an inspiration, to my Trope Tank here at MIT. 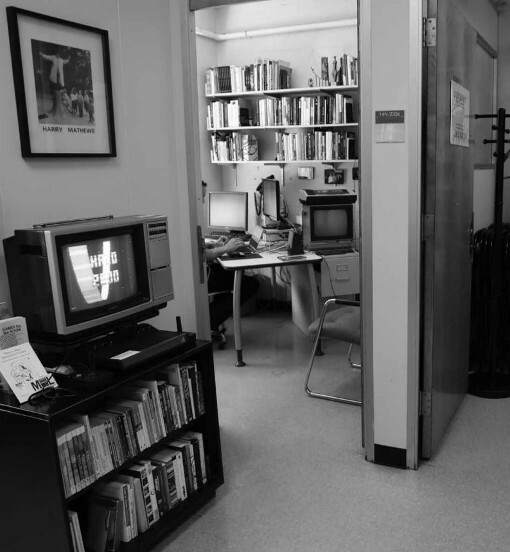 This is the Media Archaeology Lab, which has recently launched a new site (with blog) and has also begun (as a lab) to tweet. The Colorado lab, like the Trope Tank, offers working systems from decades past to support research, teaching, and artistic/literary work. The MAL is ahead of us in several ways, for instance by providing extensive information about its holdings in the form of an inventory. They even have a NeXT cube, like we do – although I think the retail price estimate on that page is missing a digit. The Trope Tank only has such information on placards placed on the hardware itself, as discussed in our technical report on the setup of the lab, but perhaps we’ll look to better publish what we’ve gathered here in months to come. I hope the MAL’s progress continues and that I’ll get to visit before too long. … the mouse; the chording keyboard for use with the mouse; the demo; videoconferencing; real-time online collaboration and collaborative editing; the first practical, working hypertext system, which was also a hypermedia system; word processing; dynamic file linking; version control; computer augmentation of human intelligence; and the bootstrapping of human intellectual processes. The US Postal Service has developed a kiosk/robot capable of experiencing pleasure. Said robot is stimulated pleasurably by selling me a stamp. I wanted to somehow let the robot know that I also appreciated the necessary service it performed. 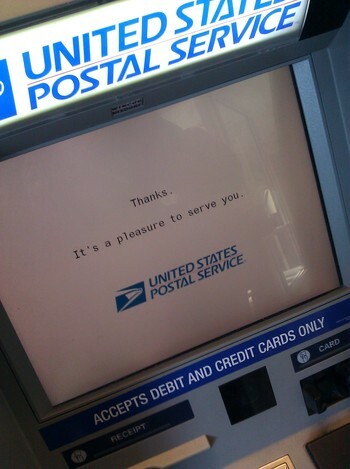 I thought about getting one of these Priority Mail stickers, writing on it “It was a pleasure, also, to be served by you, robot!,” and then slapping it on the side of the Automatic Postal Center. But the robot wouldn’t be able to read that message, would it? Maybe I could hold up a note with a similar message to the camera that is used to surveil patrons of the APC. But then I’d have to wait in line again, and I doubt the robot is capable of handwritten character recognition – it wouldn’t have asked me to type in the zip code if it was. I can only hope that this faithful servant is among the many robot readers of my blog. Also, I feed certain there must be some applications outside of the mail system for pleasure-experiencing robots, although none come to mind right away. Any ideas?